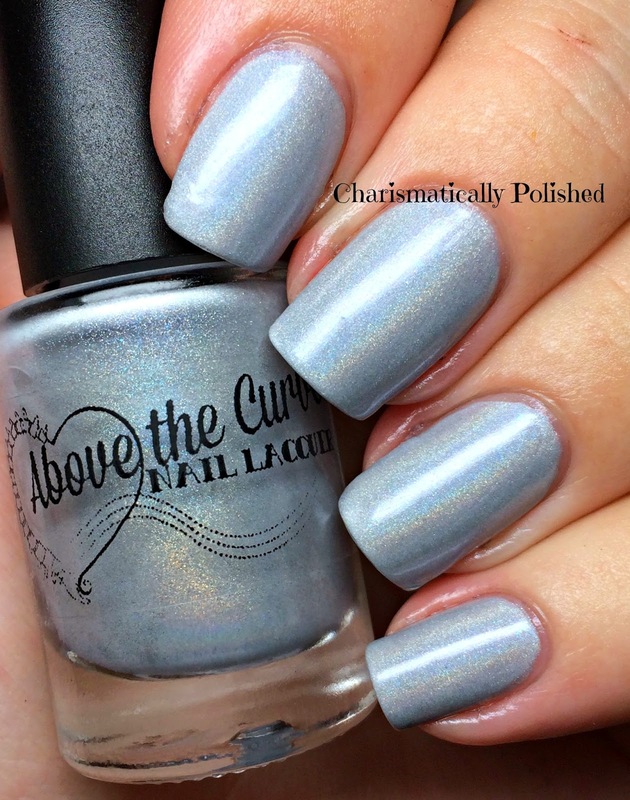 Today I have a beautiful polish from Above The Curve - but then seriously, when ISN'T there a lovely polish that comes from ATC?!? I have two other posts of their polishes, Blue and Purple Holo here with some nail art and the ever stunning Risen Angel here, which was one of my first ATC polishes. This lovely gem is Crisp Autumn Air - a clean, light gray polish has a subtle and lovely holographic influence. This is three light coats with a ATC's very own top coat on top. 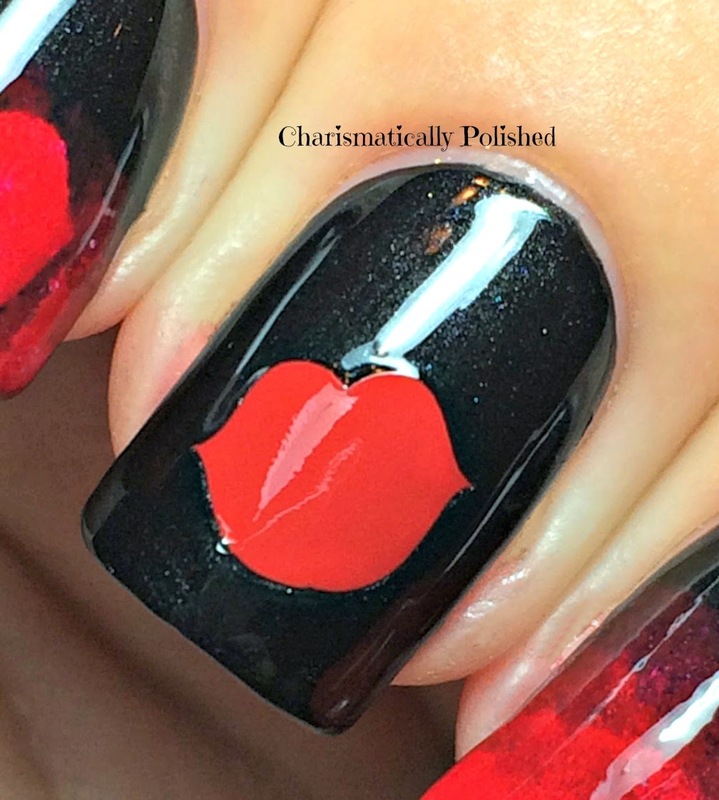 The formula was wonderful, nothing less than what you'd expect from Angel and Shawn's polishes; it didn't streak, no clumps and dried quickly. The first photo was taken with my OttLite, and as you can see shows a blue/gray tone and lovely holo. This photo was taken in direct sunlight and shows more of a gray/white tone. 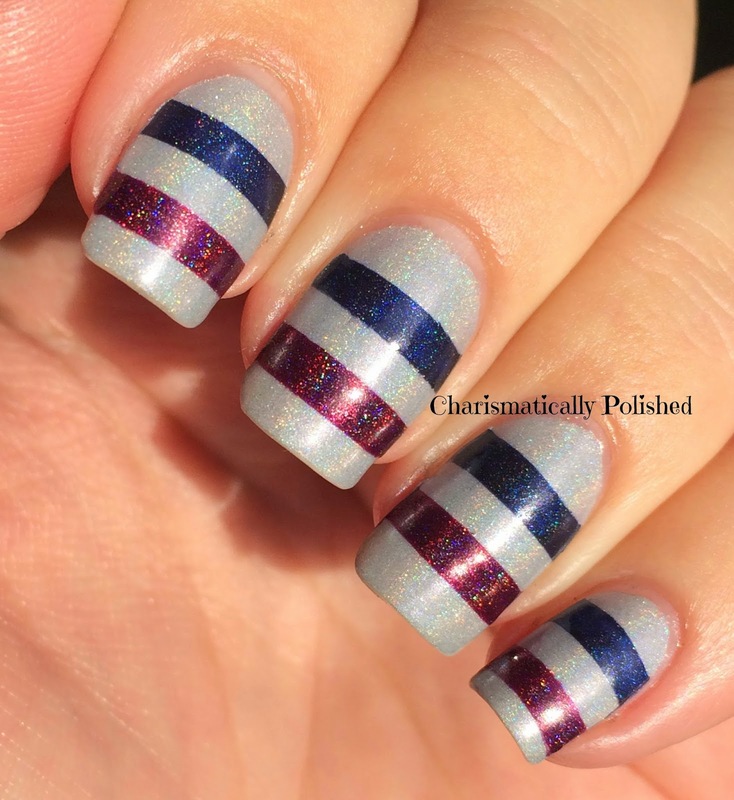 The stripes were done with Whats Up Nail Vinyls (review of those can be found here) and two other Above The Curve polishes, Family (blue holo) and Crunchy Leaves (burgundy holo). You can find Above The Curve on Facebook, and Instagram along with their shop on Etsy. 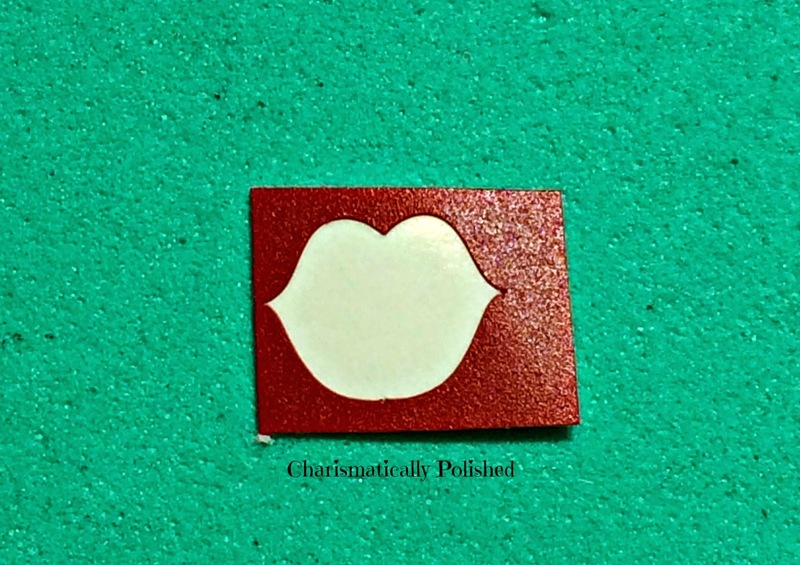 International polish lovers can find Above The Curve at Pshiiit Boutique OverallBeauty.com, and Sally Magpies . 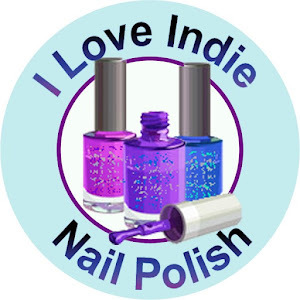 $1 from each polish sale goes to the Shriner's Childrens Hospital to raise help and awareness of scoliosis. I stumbled on the most amazing photo of a beautiful holographic polish on Instagram right before Thanksgiving that hadn't been released yet, and was to be released on November 28th. Let me tell you friends, that was a long wait to get my hands on the lovely polish from Sparkly Vernis!! And you're darn right I stayed up to the midnight launch to snag one! This is Blurple Ice Cubes - a smashingly fabulous holo that shifts between bluish and purple hues. The formula is beautiful, this is two regular coats that applied perfectly and dried quickly. Topped off with a coat of Glisten & Glow's HK Girl and wow, just look at it. This photo was taken with my Otto light, simulating sunlight. 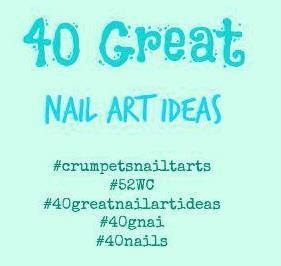 Sparkly Vernis has a store here, and you can fin them on Instagram, Twitter, Facebook and their blog. There are some more lovely holo polishes in the store, you definitely need to check it out! 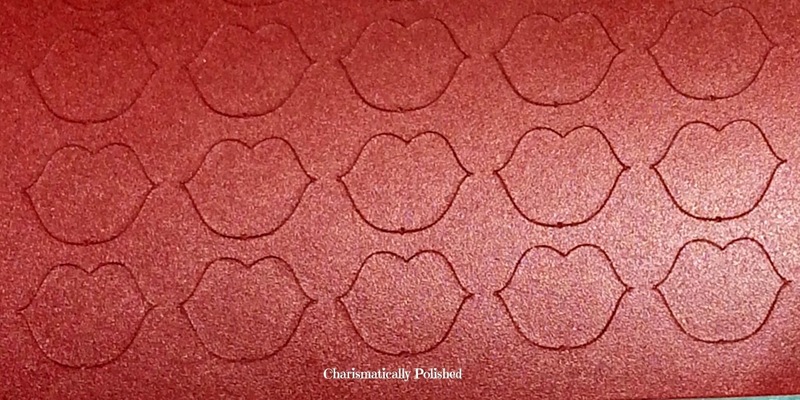 Just a quick post today, I did a video review of some stamping heads I purchased on AliExpress a couple of months ago and wanted to share with you. There are two different orders: one set has six stamping heads in them, from firm to a squishy soft texture - the link to that set is here; and the other is a set of two marshmallow heads, which can be found here. Now AliExpress doesn't process orders to Washington state where I am, so I had these sent to a friend of mine who graciously agreed to be my mule. It took about 30 days, which is typical, but they were packaged well and were not damaged in transit. You can watch the video here on my page, or also go to my YouTube Channel and watch it there. You can see my previous post about their Nail Aprons and wave style vinyls here. 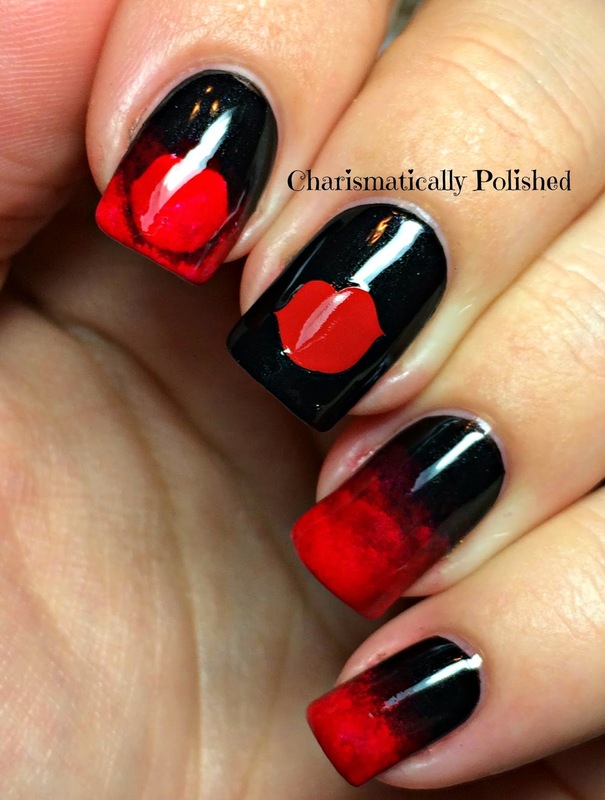 Today's post features some sassy red lip decals. I used this product two different ways. The decals were easy to remove from the sheet and apply. I wore this mani for a few days, and the decals held up well, no bleeding or wrinkling and they laid smooth after the top coat, so I didn't catch it on anything in daily wear. In particular, I really appreciated that the decal didn't gravitate to my nail and catch an edge onto my polish when I was trying to position it. Maybe you've had a similar experience? Some decal edges seem to magnetically grab onto the base when I'm close to the nail and trying to position it before I'm ready to actually place it, but these maintained their shape until I was ready. 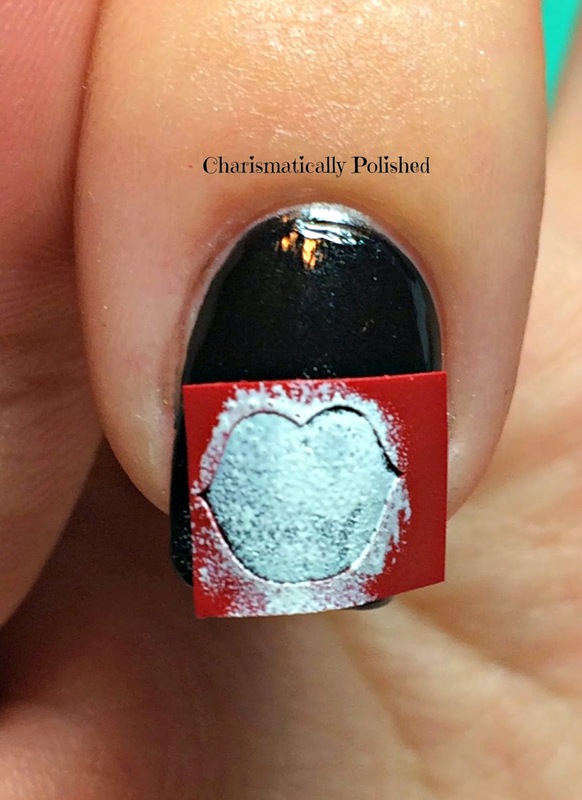 I also used the stencil outline from the lips decal, cutting it away from the sheet, applied it to my nail and sponged on some of Cult Nails Tempest then Evil Queen on and around the stencil, and on my ring and pinky fingers. The thickness of the vinyl material used was perfect; it was thick enough to stand up to being manipulated onto my nail but it wasn't so thick as to cause pooling with the polish to make it difficult to dry. I had to reposition the outline a couple of times to get it where I wanted, but I was pleased that it adhered properly and didn't cause any polish to seep under the design. You can see here from this picture that there's plenty of edge between the polish and the vinyl. You can find Loki's Lacquer on Instagram, Facebook, Google +, Tumblr,Blog - be sure to check them out!